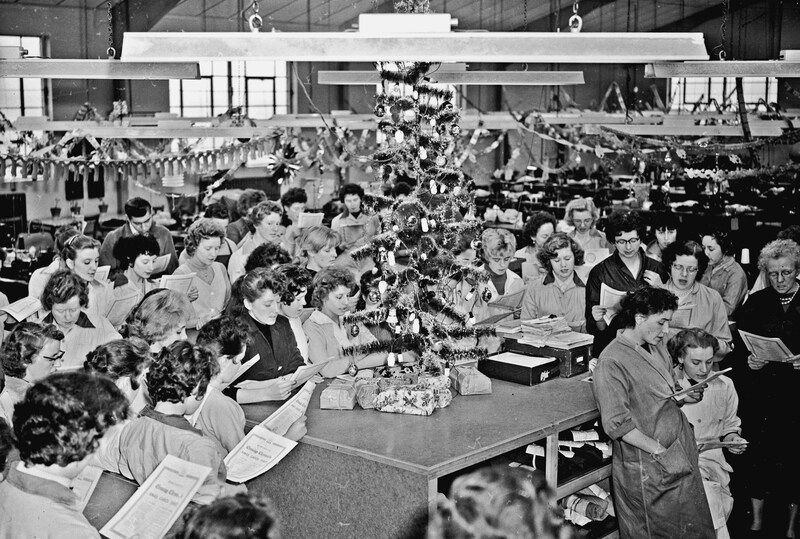 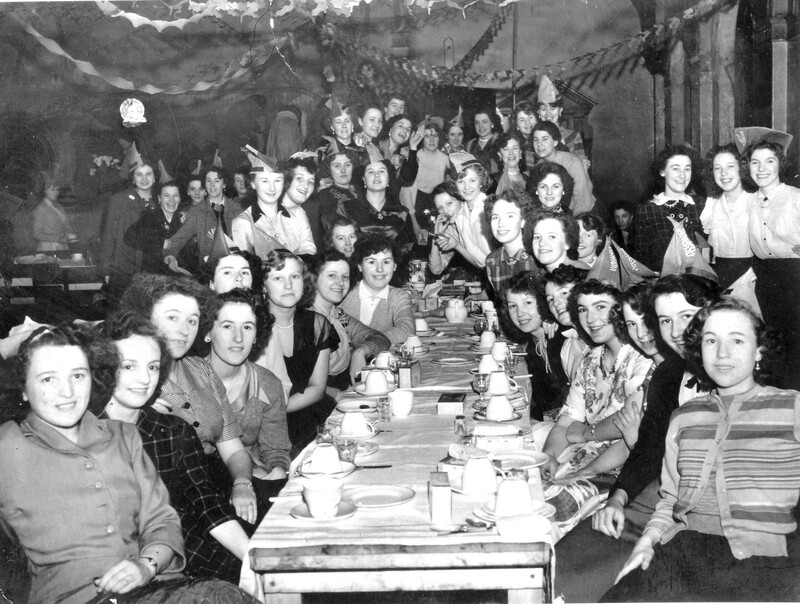 Glove production started just after the second world war above the Co-op store in Park Road South Moor and in 1959, having outgrown South Moor a new factory was opened in Anthony Street Stanley and as can be seen in the following photographs team spirit was important. 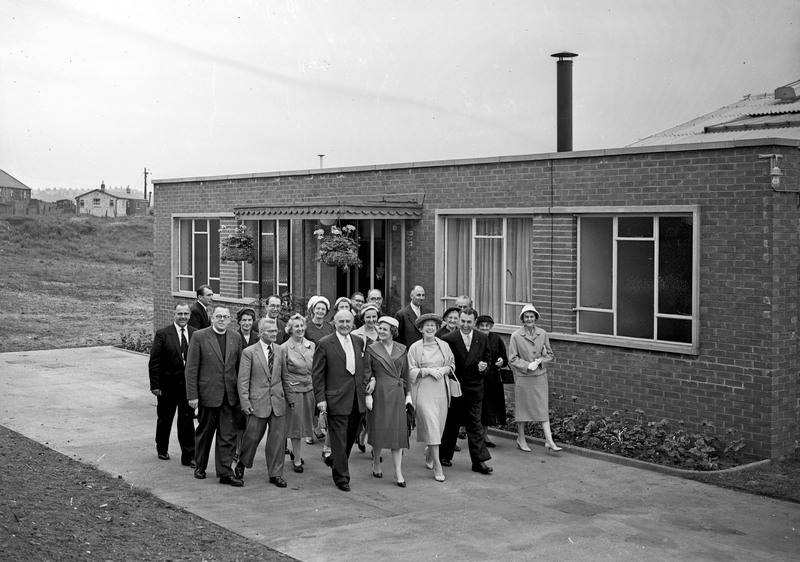 Lord Lawson the local MP cut the ribbon and declared the new production facility open. 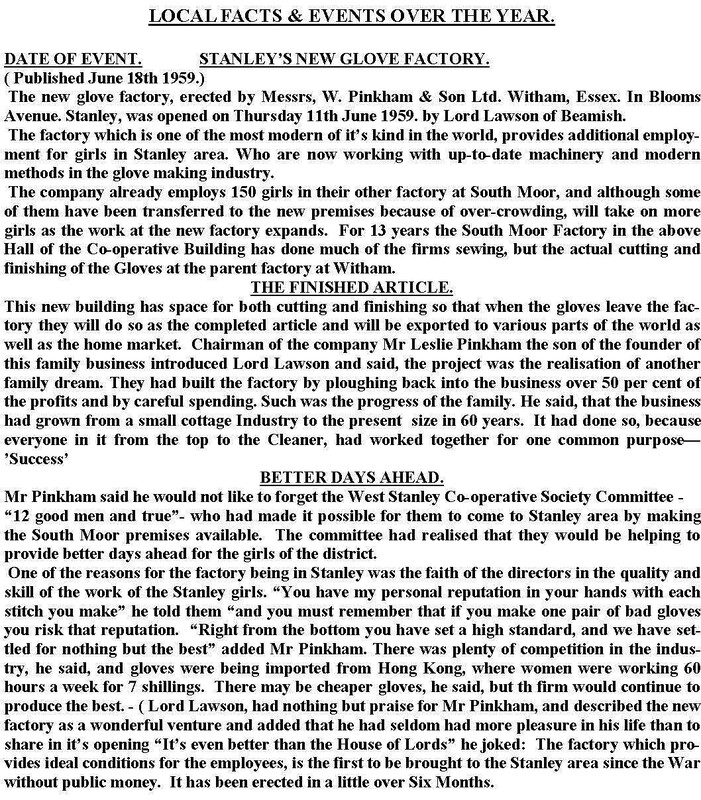 By now some one hundred and fifty people were employed in making gloves. 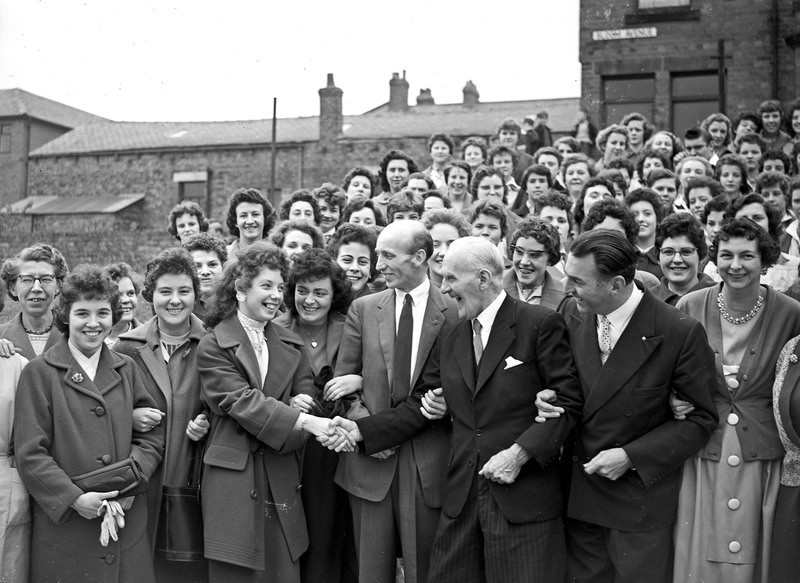 At the opening of the new factory at Stanley on June 18th 1959 seen here being helped by Joan Clarke. 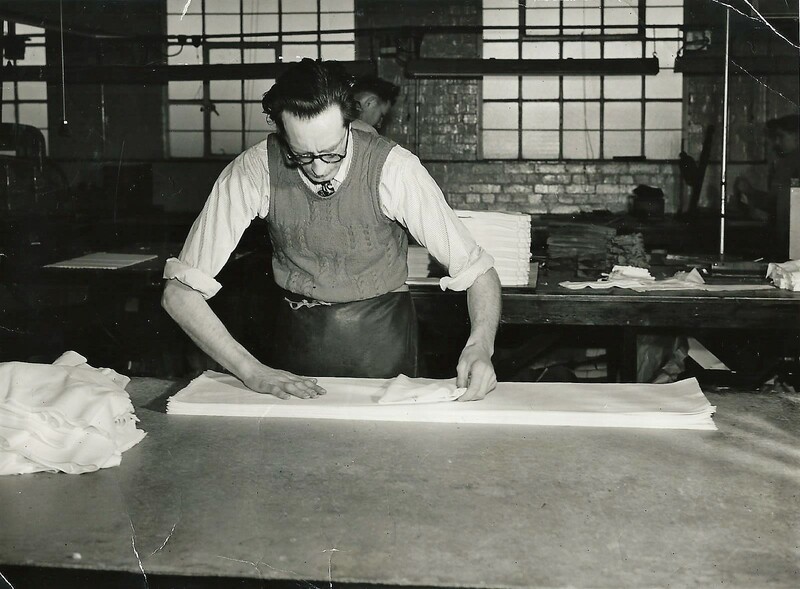 Geoff Ellis was a senior cutter at the Witham factory and moved up to the Stanley factory in 1959. 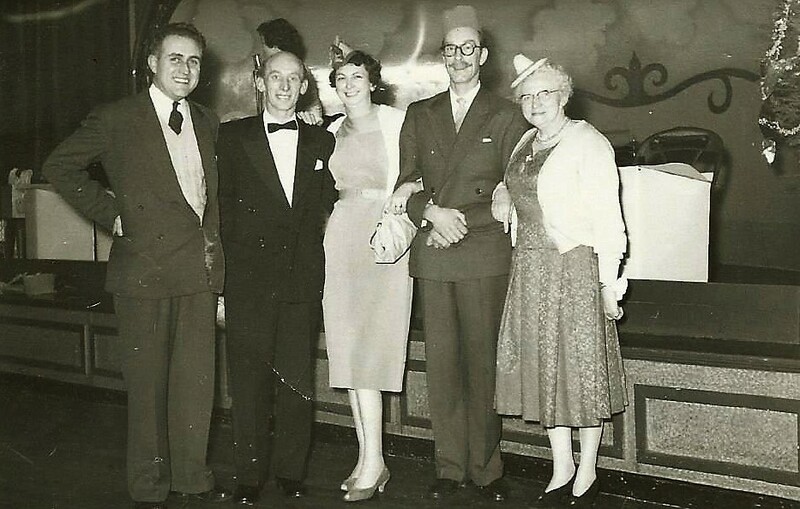 Geoff seen here with a few friends at the factory's Christmas party,the man wearing the bow tie was the factory manager David Pattison who had managed a kilt factory in Scotland before joining Pinkhams. 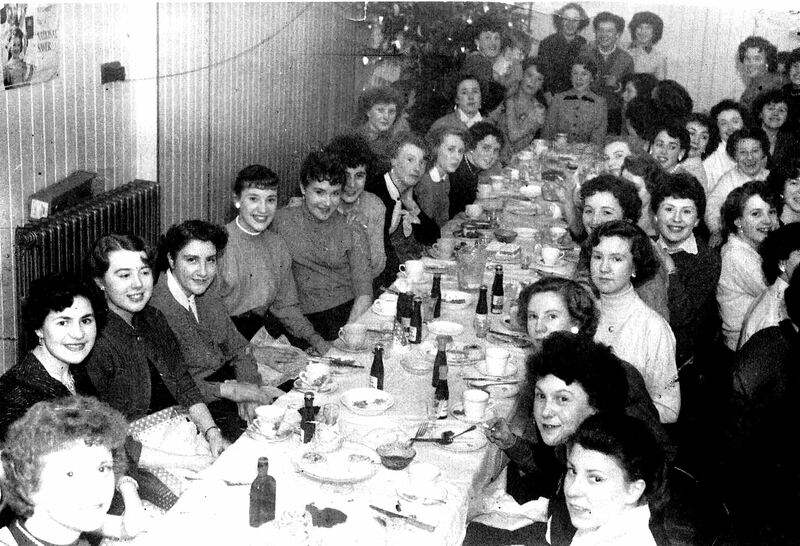 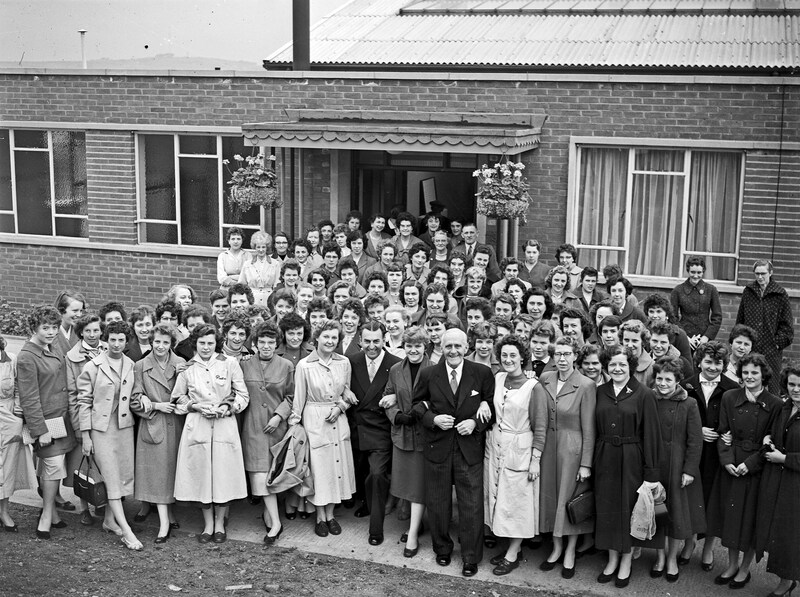 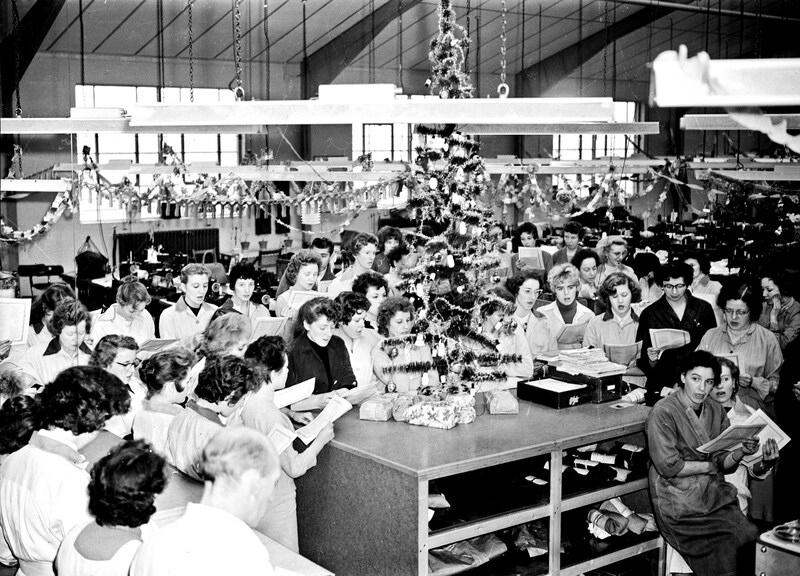 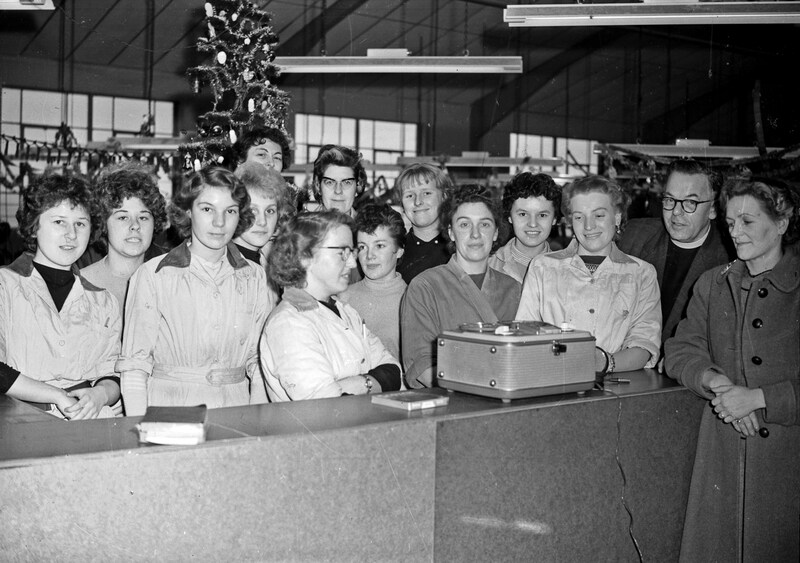 Joyce seen here in the middle with a few friends at the opening of the Stanley factory in 1959. 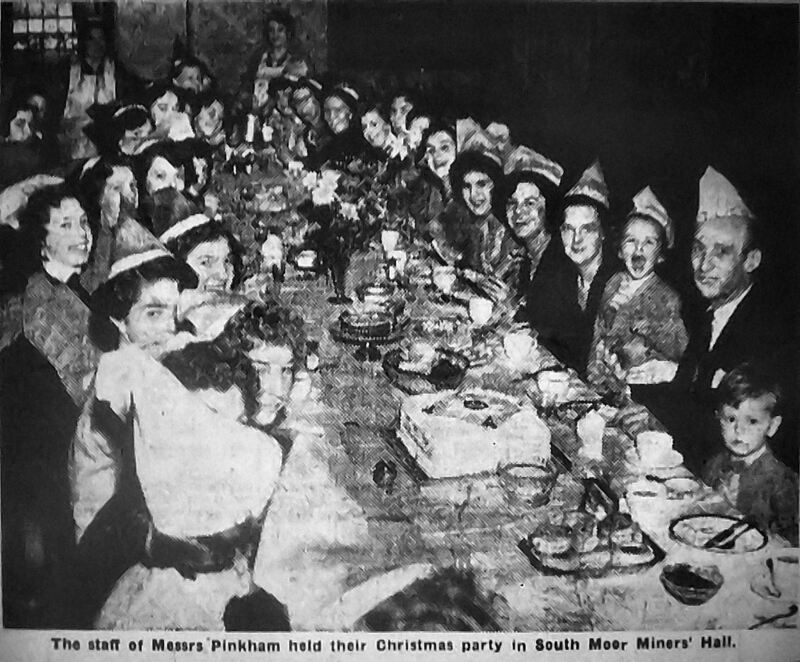 Note the Pinkham logo on her overall. 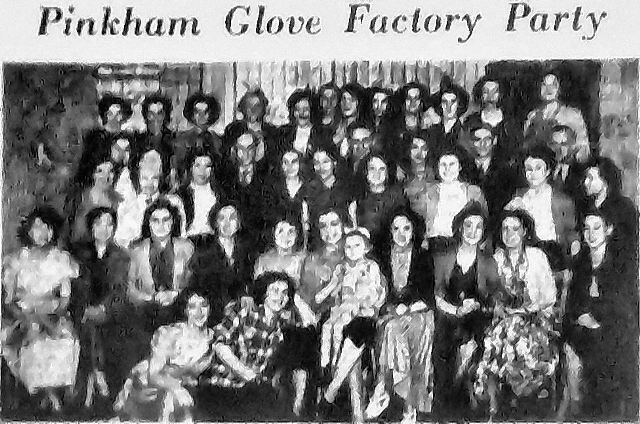 Working at the glove factory for many people encompassed not only their working lives but also played a large part in their social lives. 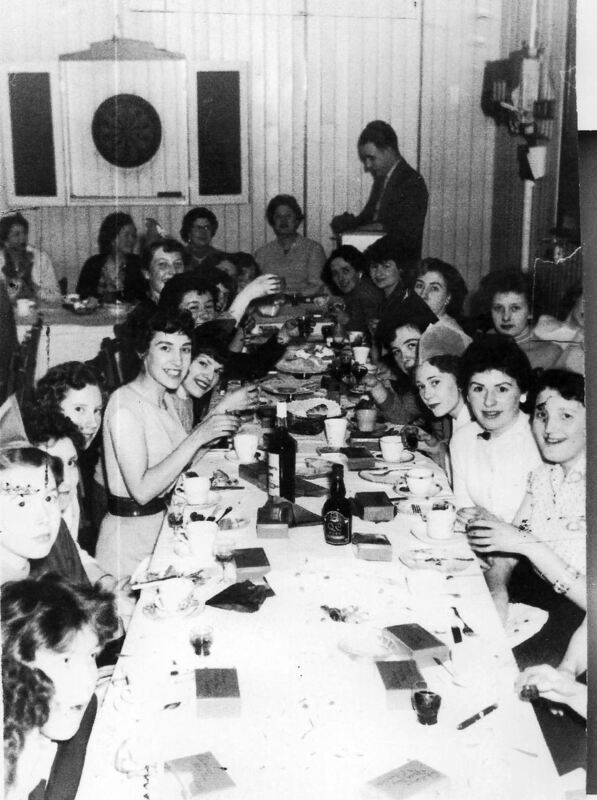 The photos below show something of the spirit of fun which existed. 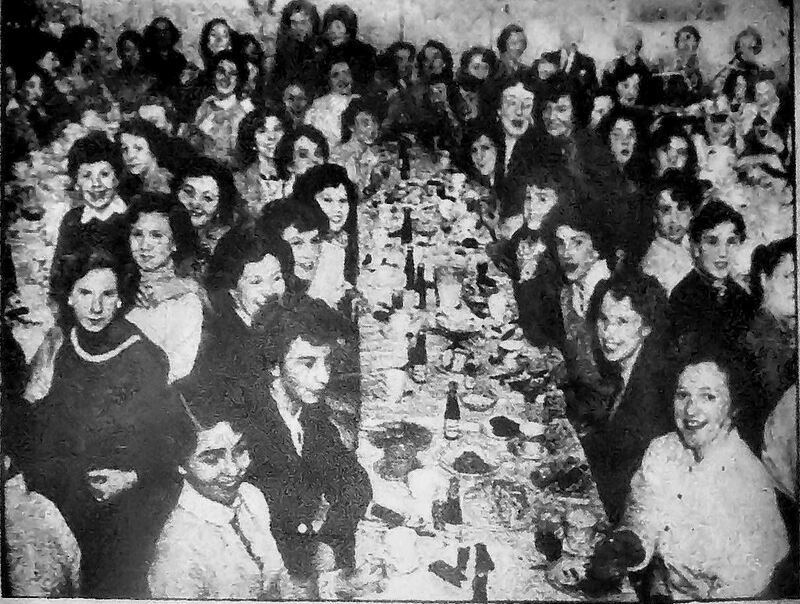 Grateful thanks to Bob Drake for the following photographs. 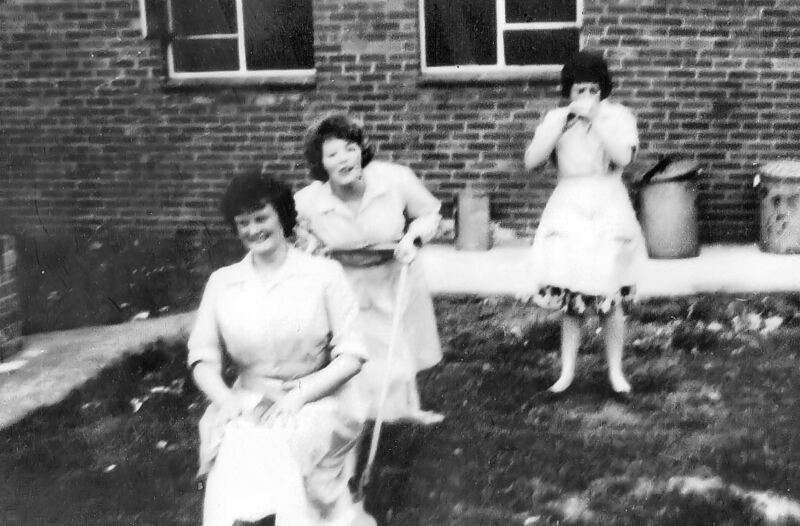 Monica Lawson (Howe) Cindy Morton and Jenny Parker (Stalker) taking a break. 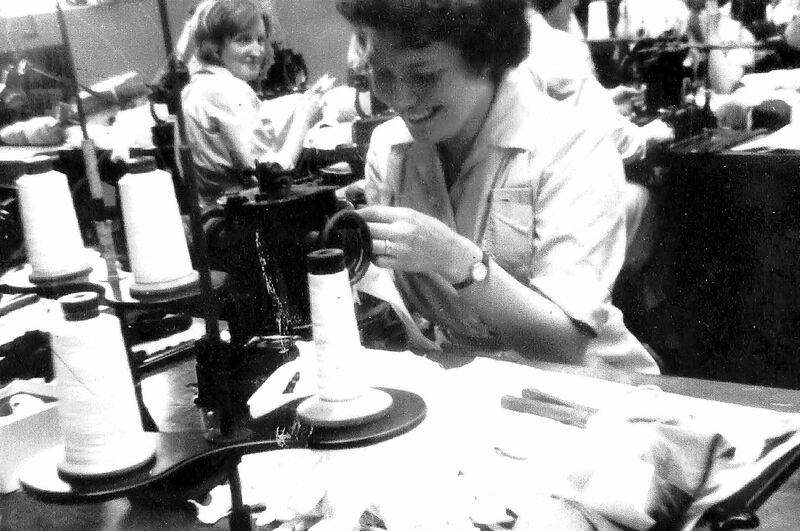 Betty Glendening (Calvert) showing how it's done with Carole Foster looking on in the backgrpound. 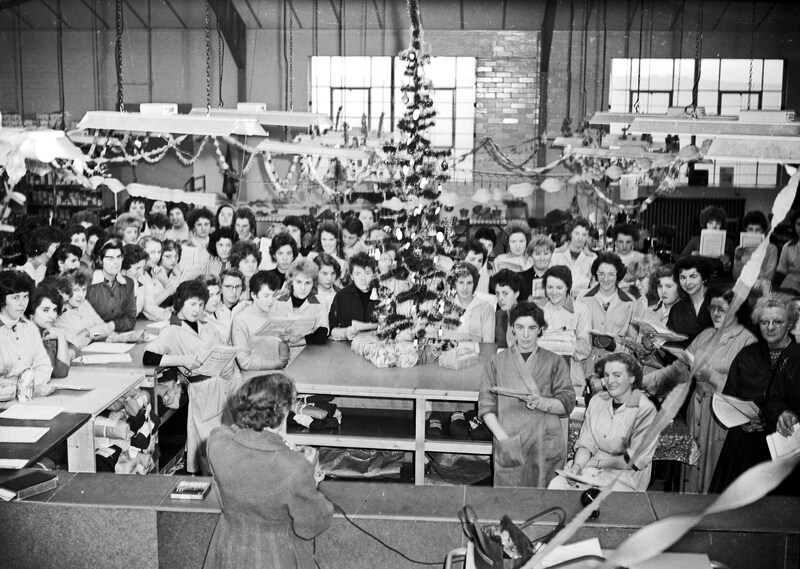 We haven't made many gloves but do we feel good.